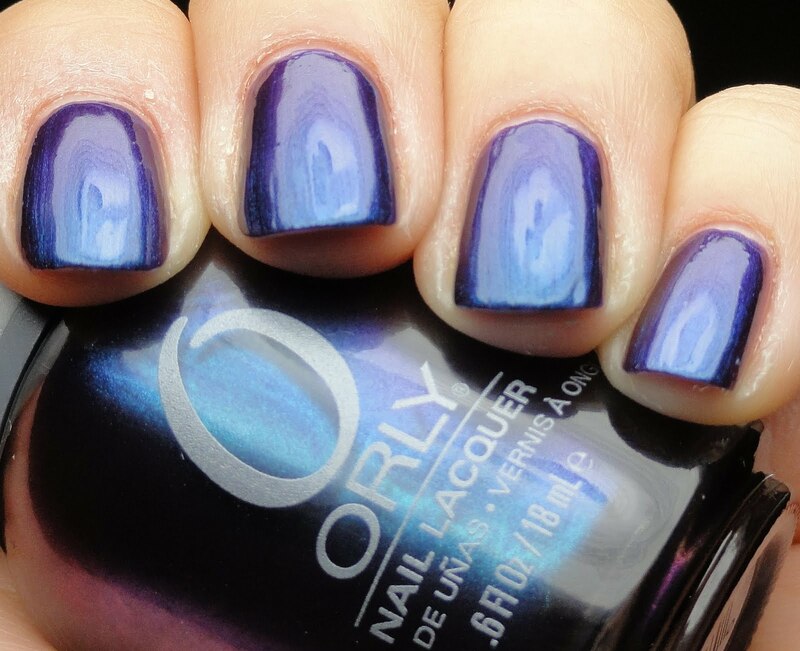 Well, most of Orly's Precious collection anyway ;) I have to say that this collection is kind of a snoozer for me. Pity. 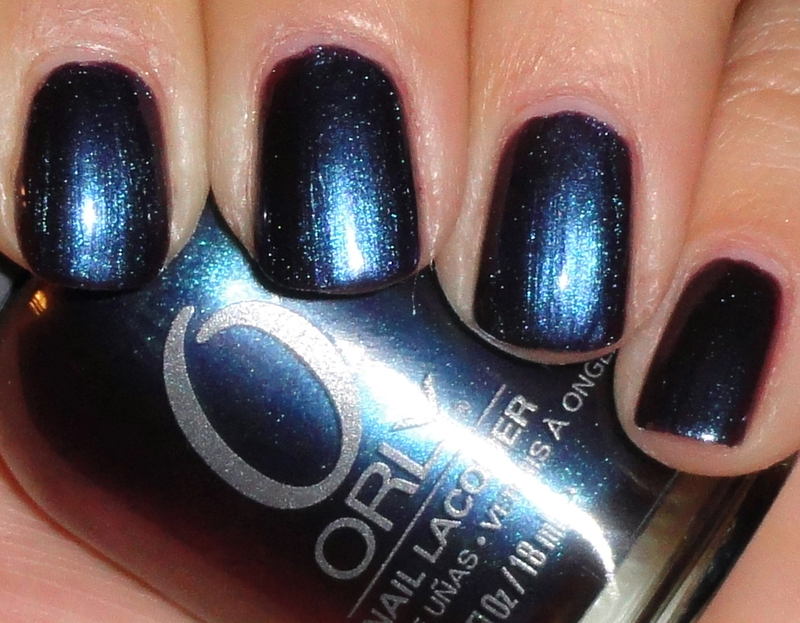 I already have the one exciting polish from this collection in Orly's sister brand SpaRitual. Oh well, on to the pickchas. Ancient Jade is a spearmint "jade" green crème. Sorry, even though I really like this polish, YAWN. It's just been done to death. Oh my, have I become jaded (hehe) and need something crazy and new and different around every corner to appreciate anything?! Let's hope not. This is two coats. Royal Velvet is the funky one in the collection, a purple blue duochrome shimmer with a bit of frost. This polish is pretty but is watery and kind of annoying to work with. Like I said, I have this color in the SpaRitual form, and that one doesn't have such a dumb name, Health, Wealth & Happiness...wait scratch that, both names aren't so hot. This is three coats. Sorry to be such a downer about these lacquers :( I don't usually dog on a whole group like this, but I kind-of have to give these guys the stink-eye. These were sent for review.